Krishnashtakam is the octet composed by Mahaprabhu Sri Vallabhacharya (1479-1531) in Sanskrit to depict the eternal love of Sri Radha and Lord Sri Krishna. This app calculate the date of Easter of any year. 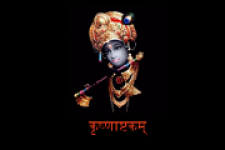 This application is about 108 name of Lord Shiva, which is written in Sanskrit. Your virtual guru in the digital world.